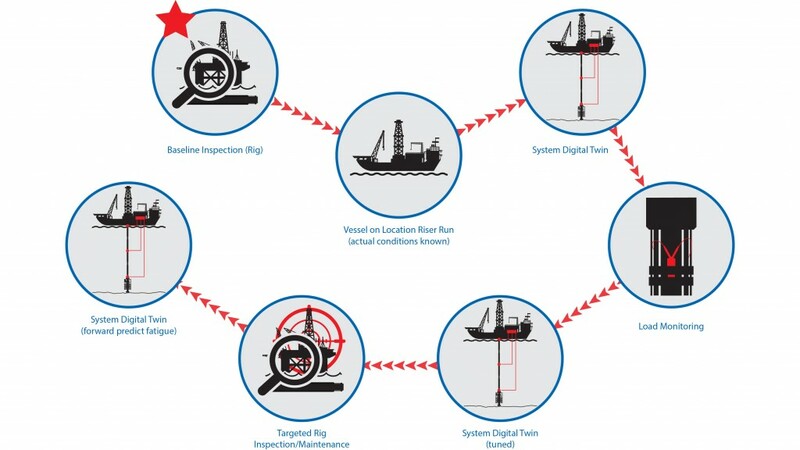 Stress Engineering developed a new process for collecting critical riser data, which utilizes a life cycle condition based monitoring (CBM), maintenance and inspection system that can be deployed on the mobile operating drilling unit (MODU). It enables resources to be deployed only when necessary, instead of on a calendar interval. The CBM system reliably determines the condition of drilling riser joints, consistently predicts when vital components will require service and accurately assesses remaining component life. The process has been American Bureau of Shipping (ABS) certified. The Spotlight on New Technology Awards showcases the latest and most advanced hardware and software technologies that are leading the industry into the future. "We are proud to win this award that spotlights our Condition Based Maintenance of drilling riser systems," said, Kenneth Bhalla, PhD, chief technology officer, "Our process eliminates the costly and complex logistics of inspecting riser joints. There is currently no present technology that brings together a digital twin of the riser system to predict when riser joints might be susceptible to damage. This is truly an innovative technology and we are proud to be recognized for it." Stress Engineering will be exhibiting its CBM technology at OTC booth number 431, May 6-9 in Houston.